Liverpool prospect Ki-Jana Hoever celebrates his 17th birthday today, but will not be putting pen to paper on his first professional contract just yet. 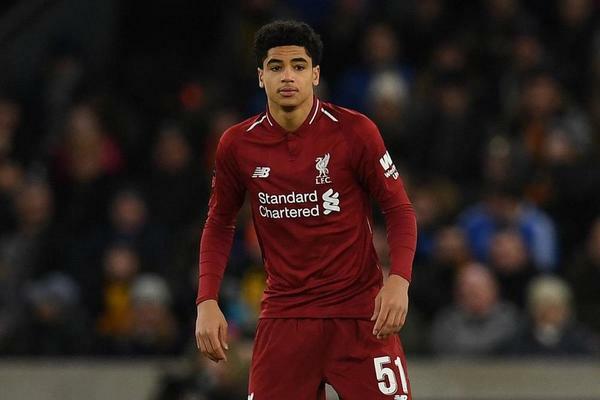 The talented teenager has made a big splash since turning down overtures from the likes of Manchester City, Manchester United and Chelsea to move to the Reds’ academy in September 2018. Impressive performances for the club’s U18 and U23 sides led to Hoever training with the first team at Melwood just a matter of months after his transfer was finalised. And he was given a surprise senior debut as Jurgen Klopp’s side suffered a 2-1 defeat to Wolves in the third round of the FA Cup earlier this month, replacing Dejan Lovren in the opening moments and going on to more than hold his own. As such, it was expected that the Dutchman would sign professional terms at the first available opportunity under FA rules – the day he turned 17. But Liverpool are currently in no rush to tie Hoever down to a pro contract that is viewed as an inevitability by those close to the situation. The club’s hierarchy enjoy a strong relationship with both the player and his agent, and both parties see the Netherlands youth international’s future at Anfield. As such, they are happy to wait for the right moment to strike a new deal that ensures that is the case.